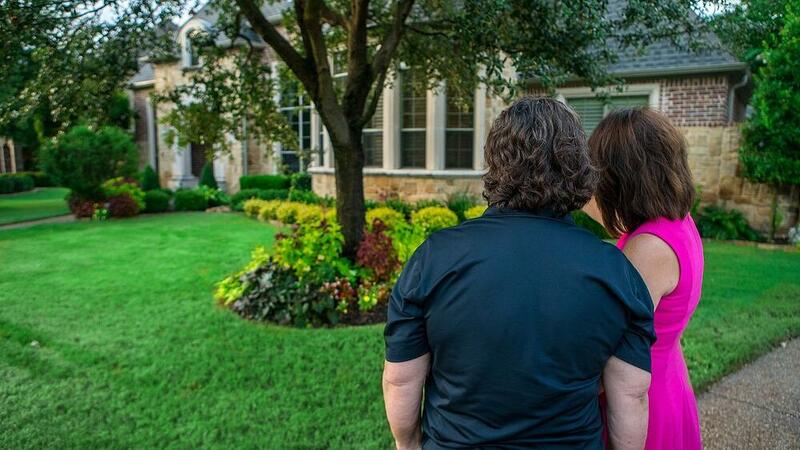 What does it take to get the best lawn on the block? Maintaining your Texas lawn might feel like a lot of work. You might be wondering what lawn care steps you really have to take to keep your yard in good shape. Do you have time to give your lawn the care it really needs to look great? What if you mess something up or overlook a critical task? And, do you have time to maintain your lawn as you should? Homeowners sometimes ask us for lawn care tips, and we like to educate property owners about lawn care and maintenance so they understand what’s involved in achieving a beautiful lawn. 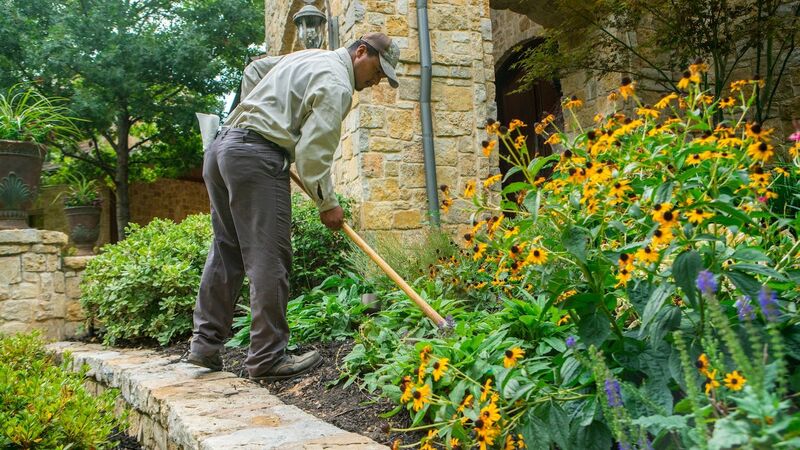 Here are 7 of the most important Texas lawn care tips, in our opinion. 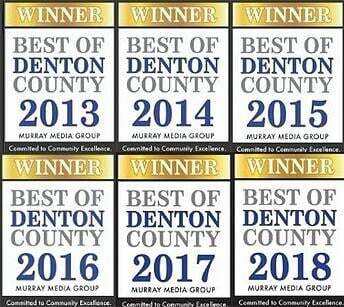 Based on decades of in-field experience delivering lawn care and landscape services in the Flower Mound, Highland Village and Lewisville, TX area, we’ve found if you follow these key guidelines consistently, you will improve the health and appearance of your lawn. Lawn Care Tip #1 Fertilize your Texas lawn year-round. 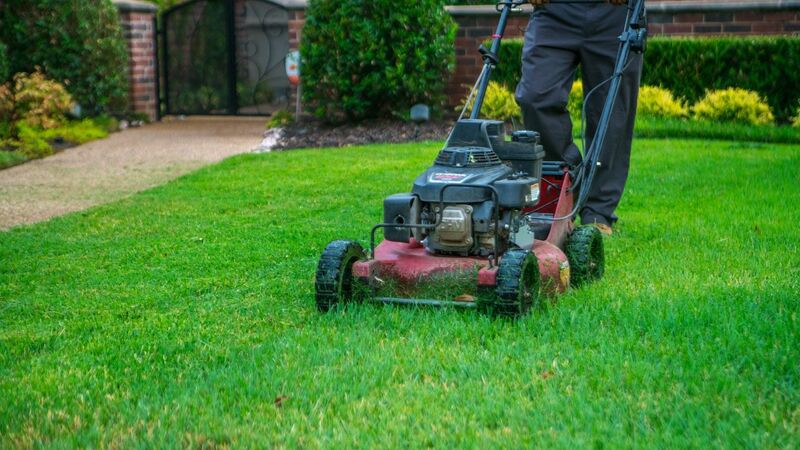 Some people take a “winter break” from lawn care and landscape maintenance, figuring that since the grass doesn’t grow as fast during the Texas cold season, they can lay off lawn care basics like fertilizing. But, this is just not the case. Consistency is the key! We recommend a year-round lawn care program that includes fertilization, pre-emergent and post-emergent weed control. Now, let’s focus on fertilization. Your lawn needs ongoing nutrition. Consistent, year-round fertilization prevents regression in the lawn. Then, weeds can more easily crop up, and a weak lawn can trigger other issues in the upcoming growing season. We know it takes longer to rescue a lawn that has declined in winter than if a homeowner would have stayed the course with fertilization. Lawn Care Tip #2 Don’t wait for weeds to grow before treating them. Preventive and curative weed control works best. Pre-emergent weed control is a treatment that is applied to your lawn before you even see the weeds. Pre-emergent applications help prevent weeds, particularly crabgrass, from reaching the soil line. Pre-emergent is a proactive way to manage crabgrass, which is a problem in many Texas lawns. But, pre-emergent is not a stand-alone solution for minimizing weeds, as it mainly addresses crabgrass. Curative treatments are also critical, and we call this post-emergent weed control. The take-away: Pre-emergent and post-emergent applications work together, so both are part of a complete lawn care program. Lawn Care Tip #3 Follow these mowing best practices. Avoid the temptation to cut your grass extra short. You might think this will buy you time in between mowings, but grass that is mowed too short is more susceptible to damage from harsh environmental conditions. In Texas, grass that’s cut too short runs a greater risk of getting damaged by the hot, dry summer weather. 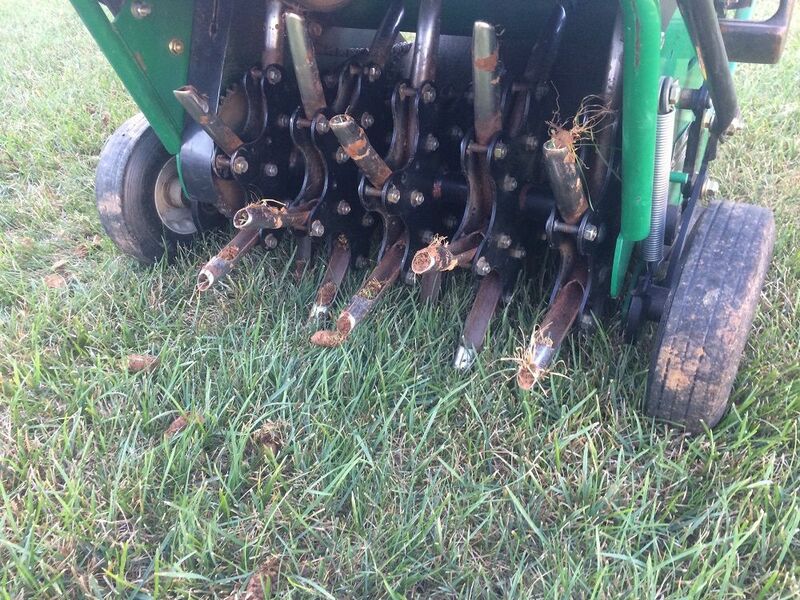 Another common mowing error is cutting more than 1/3 of the total grass height at a time. We understand the temptation. Your grass grew—and grew. You didn’t have time to cut it. Once you had a chance to mow, you decided to go ahead and cut the grass down to its recommended height. Ideally, you should adjust the mowing frequency based on how fast your grass is growing, so you’ll need to mow more often in early spring than in late summer. Only cut off 1/3 of your grass’s total height at a time. The other problem is, you can damage the lawn if you leave long grass clippings on your property. Those clippings will basically suffocate the healthy grass, preventing nutrients, sun and oxygen from reaching it. In Texas, our lawns are one of these three turf types: Zoysia grass, Bermuda grass and St. Augustine grass. Zoysia can be mowed at 1½ to 3 inches. Bermuda grass should be mowed to 2 inches in height. And, St. Augustine grass can be mowed to 2½ to 4 inches. Lawn Care Tip #4 Provide the right amount of water to your lawn year-round. Consistent, year-round watering helps maintain healthy soil and turf. Aim to water once per week in winter and two to three times per week in warm-weather months. But keep in mind, too much of a good thing can be—well, bad. Over-watering can trigger lawn diseases. Also, timing is critical. Be sure to water your Texas lawn in the early morning so whatever moisture is not absorbed by the soil is evaporated by the sun. 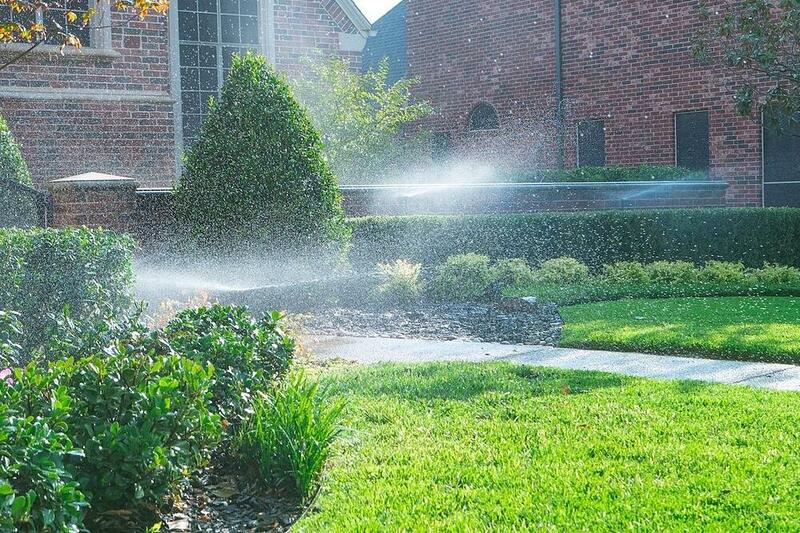 Water that sits on a lawn during the night can cause fungal lawn diseases, defeating the whole point of watering in the first place: to keep your lawn healthy. 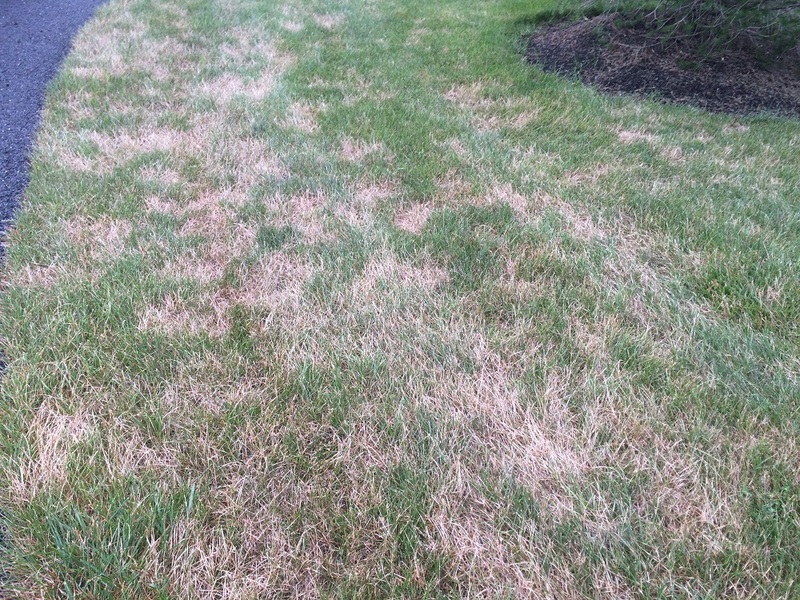 Lawn Care Tip #5 Manage lawn diseases before they become serious lawn problems. 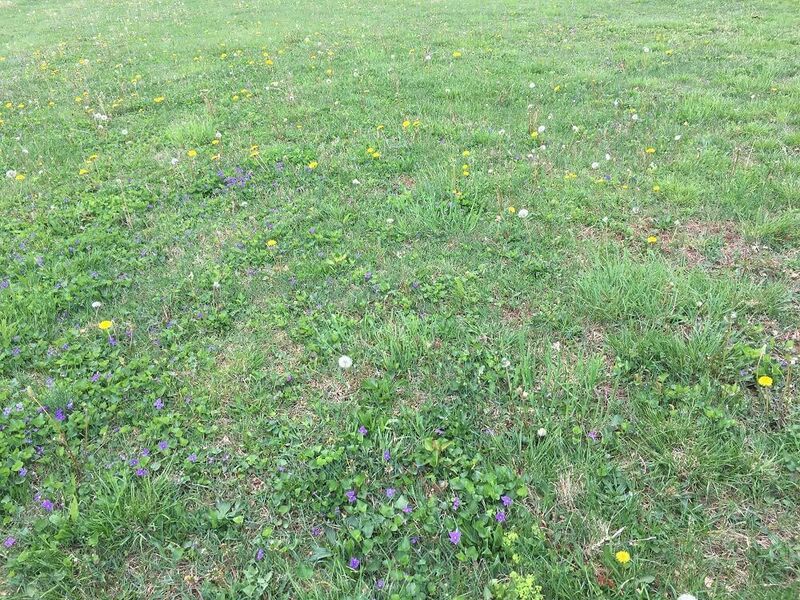 Take time to notice areas of your lawn that might be struggling. Look for thin or matted turf, brown spots and general indications that the grass is not performing. There is always a reason why. When we identify lawn diseases early, they can be treated effectively so your lawn has the greatest chance of recovering and growing strong. Lawn Care Tip #6 Keep an eye out for lawn pests and address them immediately. 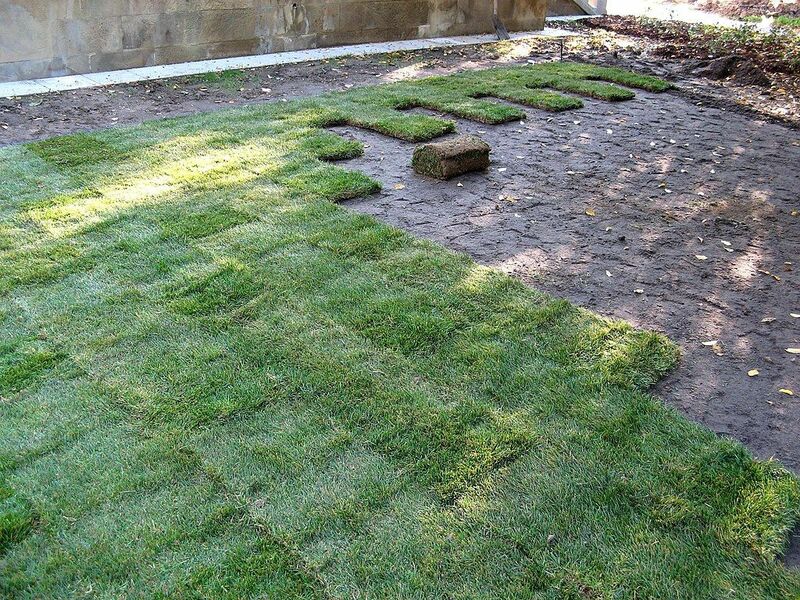 Monitor your lawn and identify any changes in appearance or vigor. 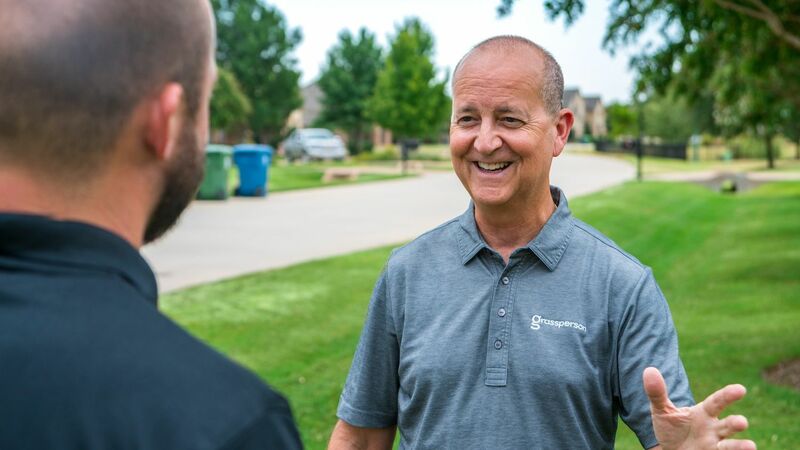 A lawn care professional who visits your property weekly and gets to know your landscape will detect changes that could indicate issues like lawn pests. Again, early identification and treatment is the key to getting your lawn back on track and healthy, and pest issues are often hard for the average homeowner to diagnose. It’s best to have a pro on board who is helping you on a consistent basis. Lawn pests aren’t necessarily a huge problem—if they are managed right away (or on a proactive basis). Lawn Care Tip #7 Aerate and overseed your lawn annually, or when necessary. When combined with overseeding—which is applying new, resilient grass seed to your existing lawn—the two best practices revitalize your lawn. 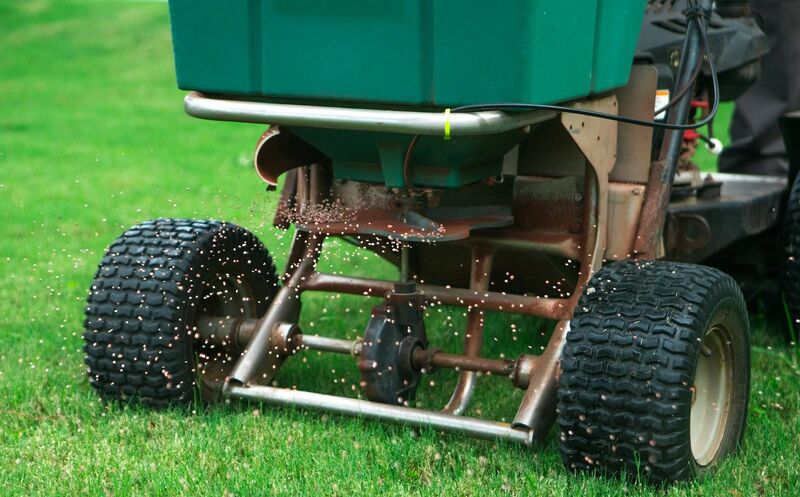 Some homeowners look at aeration and overseeding as extras and wonder if they’re really necessary. We’d argue that annual aeration and overseeding is the foundation for a healthy lawn. You can apply fertilizers and weed control year in and year out, but if you never address the grass roots and soil, your lawn will not reach its full potential. Now you know the most important Texas lawn care tips. What do you think? Are you game to dive in and start working in the yard? Or, maybe you’d rather pick and choose which lawn care tasks to tackle and leave the rest to the pros. We don’t blame you if want to partner with a lawn care service that is equipped to manage all of your lawn care so you can just enjoy the outdoors without all the work. 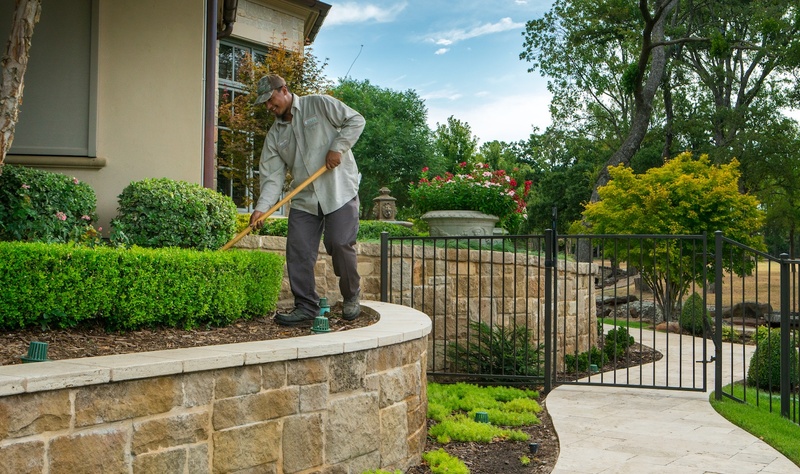 ← How Much Does Landscape Maintenance Cost In Flower Mound, Highland Village and Lewisville, TX?